After I spent some time at the Falls with the family I was able to walk about a half a mile to the attraction known as the “Bird Kingdom”. I did have second thoughts about going there but my waiter at the hotel said don’t leave Niagara Falls without seeing this place, so off I went. I must say it was way more than I could have imagined! So for the next few days allow me to take you on a tour of this amazing place. Like most places in Niagara Falls they also have a tribute to the falls. Although, I have know idea why this ice cream truck is there. This entry was posted in Photography and tagged arts culture, Bird Kingdom, I’m Posting every day in 2011, Inspiration, Niagara Falls, Photography, Quotes, thoughts. Bookmark the permalink. Oh I love that Maya Angelou quote. I’ve heard it before and have it on my quote board. And that ice cream cart looks amazing. I wish ice cream was 5 cents lol. 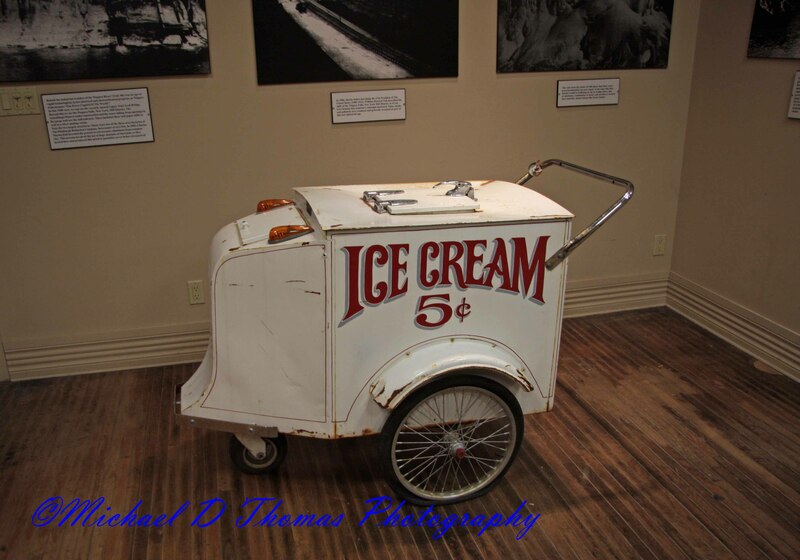 I wish ice cream was still 5 cents too! It’s one of those timeless quotes. 🙂 you have to do what you have to do and now I am going to have an Ice cream…. The photos are very nice ..
Love the Slide show. I can’t get over that daredevil barrel. The scary part is that some actually used it!